Stonemasonry and restoration of castles and stone houses sounds like something from a bygone era. But for John Kyne, an Irishman hailing from Shrule, County Mayo, this was once his day job. 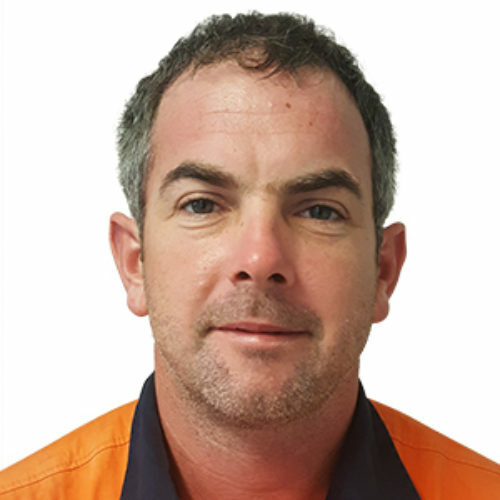 Now, residing in Sydney, Australia, John is part of the civil construction industry, working on projects such as pump stations and new builds for clients like Sydney Water and Downer Mouchel. In the last year, John has been promoted from Leading Hand to Supervisor. While the range and scope of projects has remained the same, John is enjoying the role change and the challenges that come with it. “It’s more responsibility. You’ve got to account for the safety of the crew, the quality of the work. You’re dealing directly with the client, discussing the ins and outs of the project, responding to any questions or issues. At the end of the day you’ve got to make sure all the ‘t’s are crossed and ‘i’s are dotted. John’s proudest moment at Diona has been the completion of the Chambers Flat Pump Station, which was winner of the Queensland 2016 Civil Contractors Federation (CCF) Earth Awards in the $1M-5M project value category. At 13m deep, Chambers Flat is one of the deepest pump stations constructed by Diona’s Queensland team. It was a particularly complex project as the site was constrained, affected by close neighbours, safety risks, and potential flooding. With a personal motto like “One for all and all for one”, it’s easy to understand why John feels so at home at Diona. In terms of the next one, John is looking forward to “more of the same” and hopes to progress into project or construction management. “The changes I’ve seen are for the better. Diona is an ambitious company, so you know your future is secure and that you’ve always got a good future ahead of you. The way they look after their employees is really commendable; they’re always trying to find ways to be a better organisation. Interested in a career with us? See where you fit in.